D’Zhana Simmons was only 14 when she needed a heart transplant. 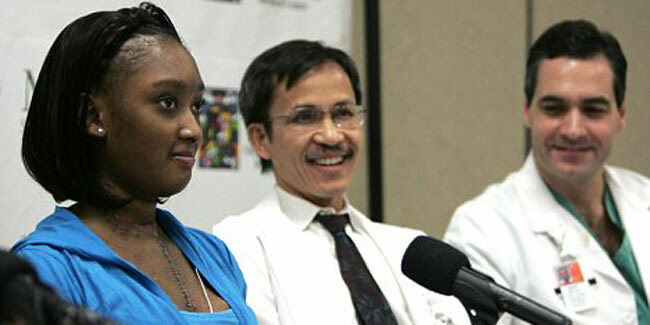 She suffered renal failure and received kidney transplant too. Simmons survived 4 months with two artificial pumps. 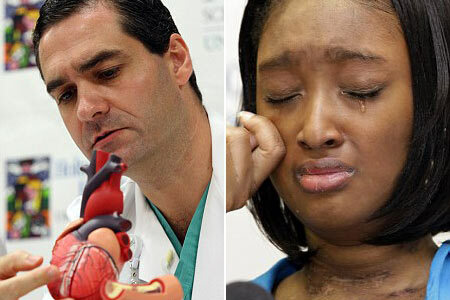 She underwent two heart transplants. The medical fraternity would agree that one needs a heart to survive and without it, there is perhaps no life at all, but with an exception of a teenage American girl who survived four months without a heart. She was kept alive with the help of a custom-made artificial blood-pumping machine until she received a heart transplant. The doctors had known of a similar case in which an adult was kept alive in Germany for close to nine months without a heart. However, the teen patient, D’Zhana Simmons of South Carolina, was the first child that had survived in the same manner for a long time. She was reported to have said that there was no guarantee the equipment would work until a heart was arranged for the transplant. To live without a heart for so long, she said, was as if she didn’t really exist but was just there. Simmons who was 14 years old at the time suffered from dilated cardiomyopathy. In this condition, the patient’s heart weakens, becomes enlarged and does not really pump blood efficiently. Simmons had a heart transplant on July 2 2008 at Miami’s Holtz Children’s Hospital, but the new heart had failed to function properly and was then removed quickly. Two heart pumps were then made and implanted to keep her blood flowing while she fought several ailments and recovered her strength. Doctors had then implanted another heart on 29th October. Simmons also received a kidney transplant the day after the second heart transplant. Her prognosis, as reported by her doctor, was good.